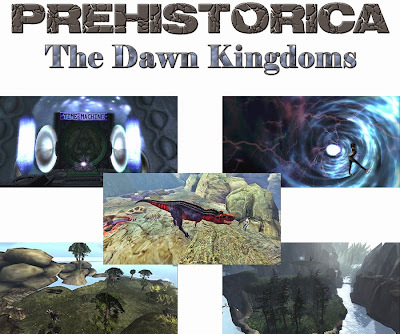 Prehistorica: The Dawn Kingdoms is a place where you can role play one of these majestic creatures such as a Apatosaurus, or a Triceratops or even a Tyrannosaurus rex!. I have never seen a sim such as this on second life so I was very curious to explore and see what it was all about. Before heading there I did some research on some specific type of dinosaurs that can be found on the sim. 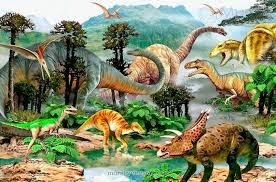 History books say that dinosaurs first appeared about 225 million years ago. What caused their extinction is still up for debate. The only thing we can do is marvel at the fossils discovered and wonder how they lived based on the clues they left behind. Scientists divide this era into 3 periods: the Triassic, Jurassic and Cretaceous. The Apatosaurus dinosaur lived in the late jurassic period. They were herbivore with a long neck and tail and Triceratops where the largest of the horned dinosaurs. It’s one of the most recognizable of all dinosaurs and the best known ceratopsid. When I think of one of the scariest dinosaur that once ruled earth’s landscape ,it is the Tyrannosaurus or better known as a T-Rex. The name speaks for itself. Can you imagine if they still existed today? How different would life be for all of us? I would imagine we would be cautious not to bump into one and become a meal. 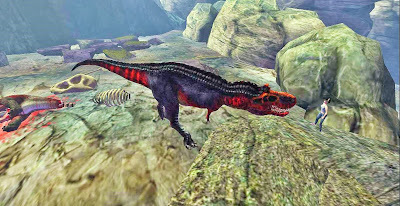 At Prehistorica, we can go back to prehistoric times and be the dinosaur!. How cool is that? When you go to the sim you enter the store where they are a lot of dinosaurs to choose from or you can go right into the prehistoric world using the time machine. 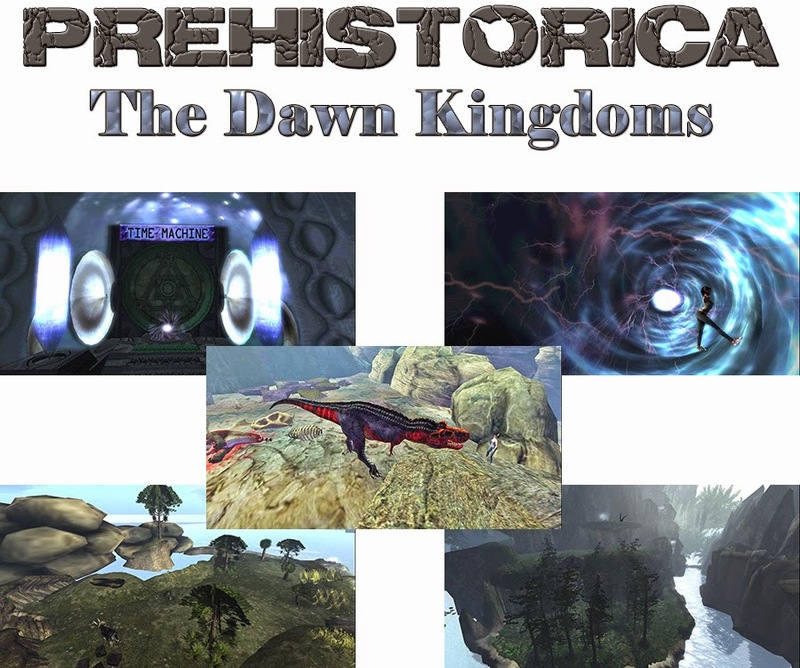 They offer a free dinosaur avatar or a time traveler outfit there so you can easily immerse yourself into the theme. 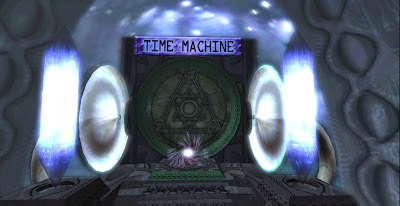 Once you get to the time machine you can pick from 3 places to visit. Cretaceous Canyon, Fossil Beach or Jurassic jungle. There are other areas at Prehistorica but they are for residents of the sim only. I first went to Cretaceous Canyon and was immediately amazed by what I saw. There are dinosaurs roaming around like you just stepped back I time. You can hear sounds of them all around you. I just loved exploring and seeing some of the dinosaurs up close. To just be able to imagine what it was millions years ago it just amazing. Next I visited Fossil Beach. This was another place that dinosaurs roamed around freely. This area of course was surrounded by beach and trees. What a wonderful place with all the sights and sounds of dinosaurs. I just loved being able to see what it must have been like while the dinosaurs roamed the earth. Next I went to Jurassic Jungle. This is right across from fossil beach and as the title says it is a Jungle! It has a swamp and fog all around it and looks so realistic. 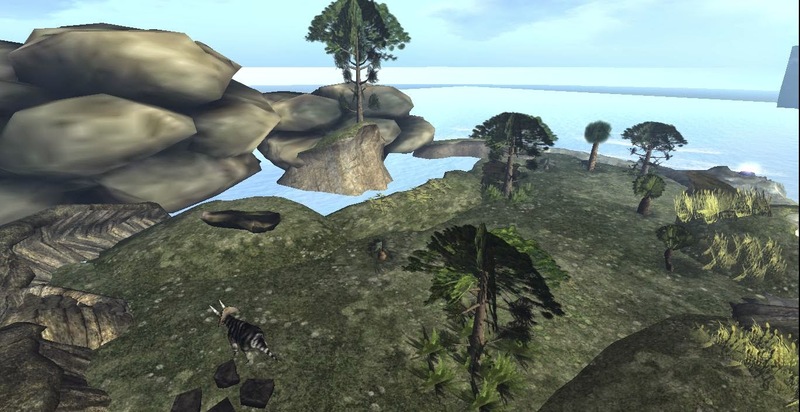 The sim is in the Mesozoic Era...the Age of the Dinosaurs and is educational. 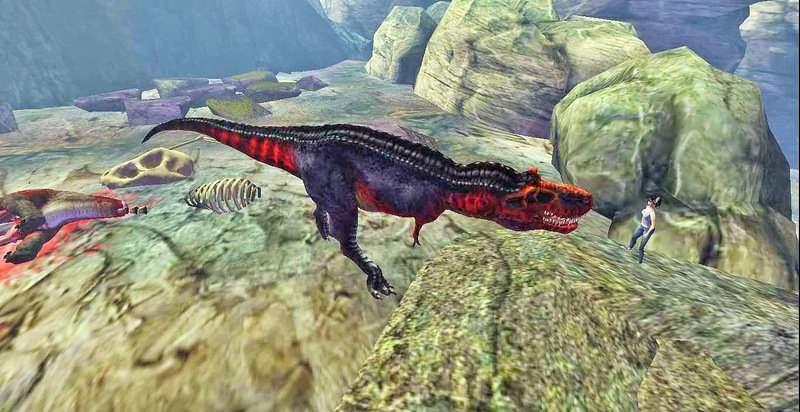 This era saw the rise of iconic dinosaurs and lizards and the breakup of the supercontinent Pangaea. It spans 252 million years ago to 66 million years ago. Something I had no idea about so it was nice to learn something new about theses massive creatures and the scientific findings and terms that are used today. 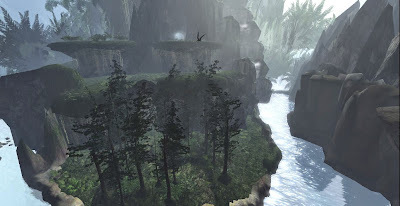 Being able to travel back in time just like that is one of the things I love about Second life but being able to visit a place such as this is just wonderful. 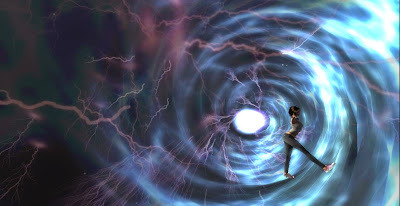 The beauty of Second Life is not only what you can buy but also what you can see. If you haven't already make sure you take a trip to this sim at least once. join their group “PANGEA update group” to get all the latest information about the sim and don’t forget to grab you free Pangea carnage freebie souvenir.